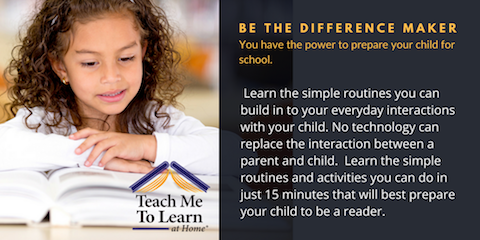 Teach Me To Learn at Home® is an internet-delivered learning site that serves as a guide to parents of children between the ages of 2-5. Through our tested methods, Teach Me To Learn at Home® gives parents a way of developing their children and becoming their child's first teacher. 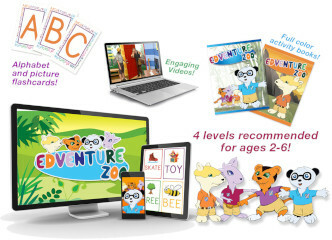 Teach Me To Learn at Home® consists of six unique learning pathways that are specially targeted for each age group and skill level, each of which is filled with activities to prepare your child for the next part of their literacy journey - learning to read. Instructional Modeling Kits were designed to support the development of effective reading teachers. Three kits, complete with all materials needed, enable teachers, with the support of their reading coach or literacy specialist, to teach phoneme awareness and early to advanced word identification skills. Carefully scripted lessons, which can supplement any reading program, serve as the means for learning how to explicitly and systematically teach the most basic yet important early reading skills so that every child learns to read. When combined with professional development based upon reliable research, the SBSL Instructional Modeling Kits bring to life the knowledge of how students learn to read and make effective teaching and learning a reality. Contact a SBSL Associate at 610-398-1231 to find out how professional development in combination with the Instructional Modeling Kits can produce superior teachers and student reading growth. The Step By Step Learning Instructional Modeling Kits were designed to support the development of effective reading teachers. Three kits, complete with all materials needed, enable teachers, with the support of their reading coach or literacy specialist, to teach phoneme awareness and early to advanced word identification skills. Carefully scripted lessons, which can supplement any reading program, serve as the means for learning how to explicitly and systematically teach the most basic yet important early reading skills so that every child learns to read. When combined with professional development based upon reliable research, the SBSL Instructional Modeling Kits bring to life the knowledge of how students learn to read and make effective teaching and learning a reality. Print your order form today! Bethlehem Area schools make stunning strides in reading. 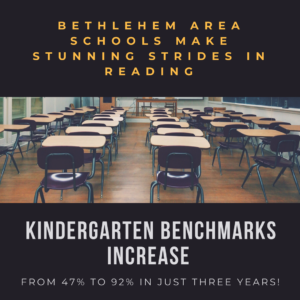 Kindergarten benchmarks increase from 47% to 92% in just three years!